Flax seed oil is derived from the seeds of the flax plant, Linum usitatissimum, and is known to be a source of the omega-3 fatty acid, alpha-linolenic acid (ALA). Omega-3 fatty acids are required for a variety of essential body functions, from proper blood flow to brain development. These long chain fatty acids are integral components of tissues and organ systems throughout the body, including the heart, skin, joints, eyes and immune system. 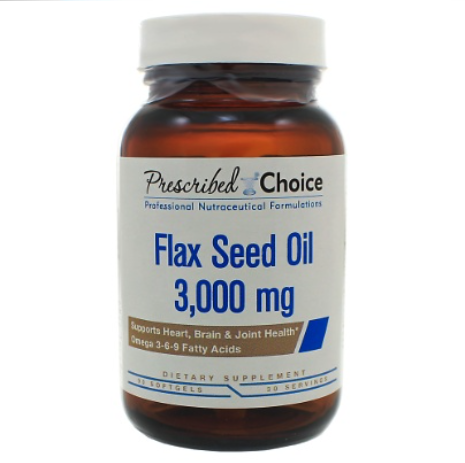 Research has shown flax seed oil helps support a normal inflammatory response and promotes cardiovascular and neurological wellness, as well as skin health. 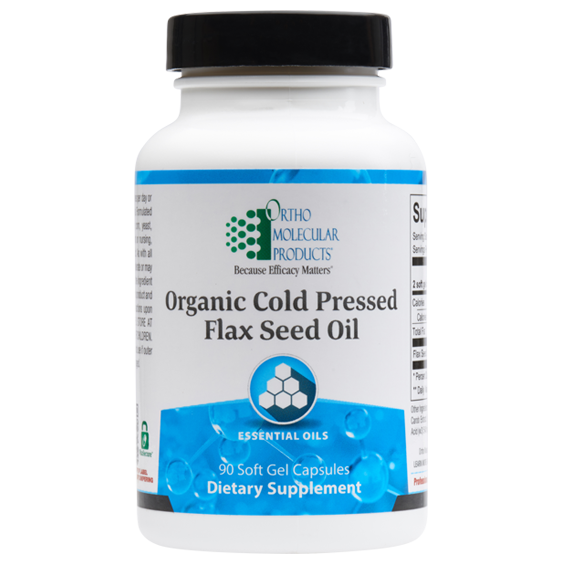 Each Flax Seed Oil soft gel includes 1,000 mg of organic flax seed oil, providing high-concentration ALA.
Flax seed oil has a diverse and healthy profile of omega fatty acids, including omega-3 fatty acids from ALA, omega-6 fatty acids from linoleic acid and omega-9 fatty acids from oleic acid. This blend of oil is unique in that it contains both alpha linolenic acid and linoleic acid in generous amounts. 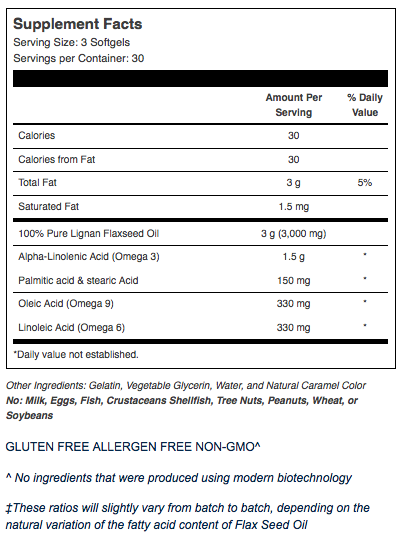 Both alpha linolenic acid and linoleic acid are considered essential fatty acids because they are required for human health, but cannot be synthesized by the body. However, changes in the modern diet over the last century have led to a decrease in the general consumption of omega-3 fats and a dramatic increase in the dietary ratio of omega-6 to omega-3. Since omega-3 fatty acids are known to benefit cardiovascular health, support a healthy brain, and are proven to maintain a healthy inflammatory response, achieving the proper balance of omega-3s is important health strategy, requiring supplementation for most people.1 Flax seed oil provides unique health benefits and supports individuals who need to increase their omega-3 intake. 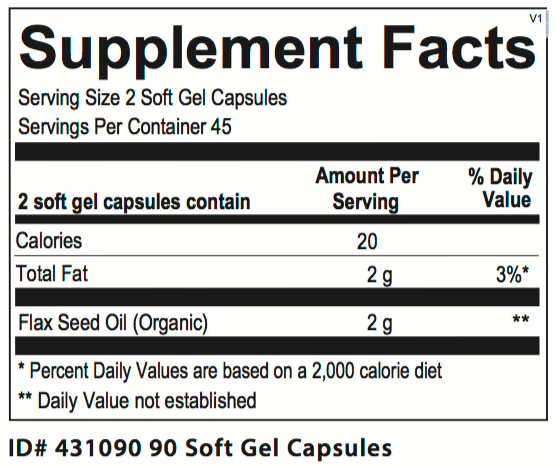 1-2 soft gel capsules three times per day or as recommended by your health care professional.